This product is manufactured with equipment that process products that may contain milk, egg, soy, tree nuts, peanuts, wheat, fish, crustaceans & shellfish. Contains milk and soy (as soy lecithin). Clean Protein does not contain soy protein. Natural & Artificial Flavors, Xanthan Gum, Arcacia Gum, Salt, Acesuflame Potassium (Ace-K), Sucralose. One thing is that Mike says the Loopy Froots flavor tastes more like Trix cereal than Froot Loops... but either way, it's definitely fantastic! Evolution In Isolate Protein Powder! ISO-Protein, the evolution of isolate protein powder! 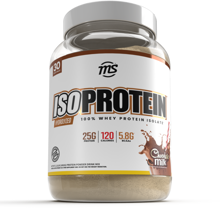 ISO-Protein is hands down the industry's most anticipated whey protein isolate to date. Not all isolate protein powders are created equal. 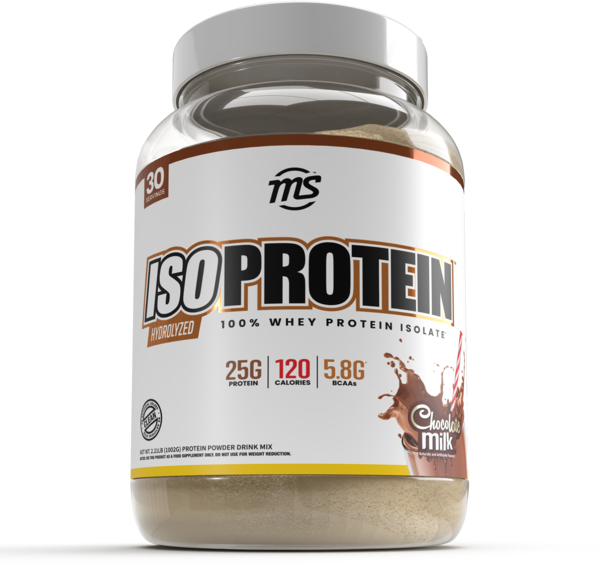 We only use the highest yielding instantized whey protein isolate in ISO-Protein. This means 90% of the total isolate protein is complete or usable protein, the highest yield available on the market. OUT OF THIS WORLD TASTE & MIXIBILITY! Taste and mixibility isn't everything but it plays a huge part in the user experience. It's much easier to stick to a supplement regimen when you actually enjoy (or crave!) what you're drinking! ISO-Protein comes in easy to mix, super-delicious Blueberry Muffin, Peanut Butter Bits and classics like Chocolate Milk & Vanilla Ice Cream.